Plastic Kids Cool Hanger - 300mm. Fischer Plastics 100% Australia Made. 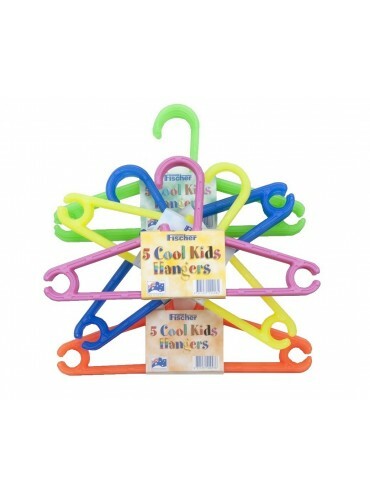 Colour: 10 Packs of 5 Hangers each in Fluro Blue, Green, Orange, Pink and Yellow. Box Lots of 50 Hangers.